Guess who is turning 40 this year?! 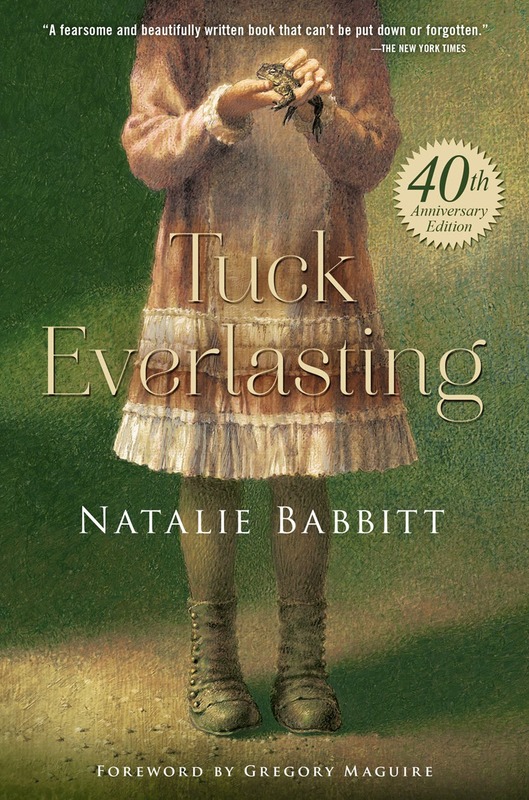 Tuck Everlasting by Natalie Babbitt was published in 1975 and still holds steady as a favorite. The book tapped into new territory talking about death with children - not so common those days. A brand-new introduction from Gregory Maguire, the author of Wicked, and additional bonus materials make this special edition of Natalie Babbitt's Tuck Everlasting a must-have for lovers of the book and a great way to introduce a new generation to a classic. This 40th anniversary will introduce a whole new generation to this timeless classic and goes on sale January 20th! The book has sold over 3.5 million copies in the US alone, and has never been out of print since publication. Being a part of the #Tuck40th tour, I will answer the question of "What if you could live forever?" I'm assuming that I would indeed drink from the magic spring. I've always liked Highlander (I'm old) and I'd rather not deal with getting old at the moment. So, my answer is two-fold; I would travel to every destination I could (minus places with snow) and take in every sight. I would go to places I had been once afraid to go. The Egyptian desert (sand in my nose!) and in the middle of the ocean on some remote island (sharks!). The downside? I'd be terribly lonely seeing all of my loved ones pass over time. I'm terribly attached to people. I'm not sure how many years I could go watching generations of my family come and go. Bottom line...I'd still drink from the magic spring!